Ahmed Makarfi, the immediate past Chairman of the Peoples Democratic Party, PDP, National Caretaker Committee, has said his party would defeat President Muhammadu Buhari or any other candidate fielded by the All Progressives Congress, APC, in 2019. Makarfi anchored his claim on the fact that Buhari’s administration had failed to resolve the prevailing challenges facing Nigerians, ranging from insecurity, socio-political to economic challenges. 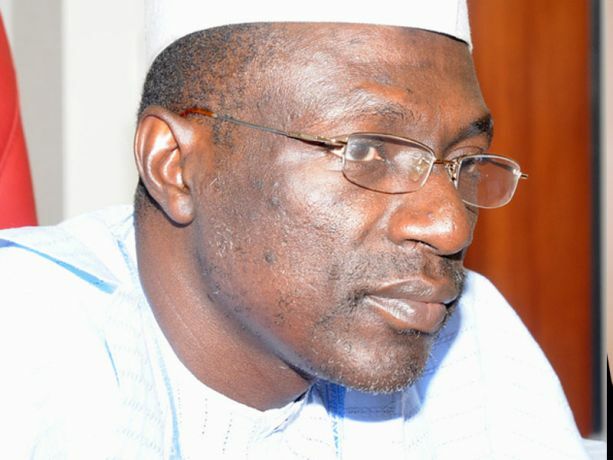 Speaking with ThisDay on Monday, Makarfi noted that Nigeria was in the worst terms of insecurity, followed by the alleged report that the Islamic State in West Africa network had infiltrated the country and was operating under the cover of cattle herdsmen. The former Kaduna State Governor noted that nobody would be talking about deadly activities of the militias if Buhari’s government was proactive in the area of security. Makarfi said, “Morality is a decision of the individual; I would rather look at it from the legal perspective. From the legal perspective, President Muhammadu Buhari is qualified to seek re-election. Of course, some people will call on him to re-contest, while others will tell him not to contest. “But irrespective of the candidate the party presents, whether it is Buhari or any other candidate, he will be roundly defeated by the PDP in 2019. We are waiting for the candidate to emerge before we present our strategy to defeat such candidate. It is not the business of our party to determine the candidate of the APC or any other party. “You have also mentioned the socio-political and economic challenges in this country; the federal government is overwhelmed with the challenges, it has never been worse than this before. “We ought to have detected it and prevented it from happening. That is the duty of any responsive government. “Again, I don’t know how easy it was for you to get fuel to come here? As for me it was not easy. I had to wait for hours to buy fuel at the filling station. “The prices of foodstuff have gone very high, and where they are available, where do you get money to buy them? Basic infrastructure is not available, parents cannot pay their children’s school fees. “Yet, people were busy celebrating the Abuja-Kaduna railway project. Just a few days ago, the train broke down inside the busy part of town—at the heart of kidnappers’ domain in Kaduna, and passengers were exposed to danger. “These killings must stop; solutions must be provided by the government. Where cattle routes are available, they need to be retraced. If we need to create new ones we must create them. Whatever solution that can solve the killings must be applied immediately. “We need to go back and find out why the herdsmen were before now law abiding. For now, because of the suspicions across the country, you can’t say you are going to set up cattle reserves in all states.